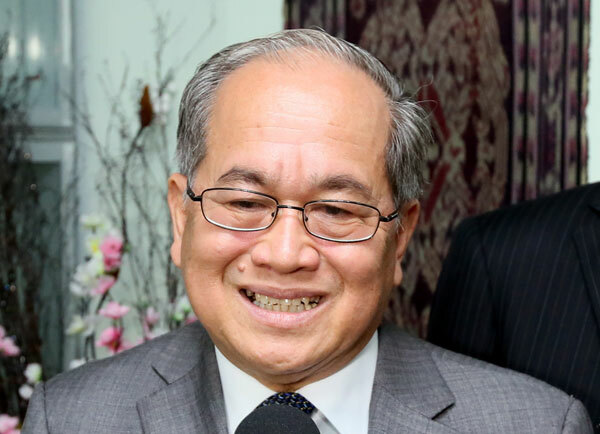 KUCHING: Deputy Chief Minister Datuk Amar Douglas Uggah Embas is confident that the newly appointed Chief Minister Datuk Amar Abang Johari Tun Openg will be able to lead Sarawak to greater heights as he is a man of all races and religions. “First of all I would like to welcome his appointment. I know him very well. I have been with him since 1981 in the party and in Saberkas and I know he is very patient man, very hard working and committed to helping people…he is a man of all races all religions,” Uggah told the media after the swearing-in of Abang Johari at the Astana yesterday. He was confident that Abang Johari would be able to transform Sarawak in terms of development. “We in PBB have a culture. You witnessed it when Tun Pehin Sri Abdul Taib Mahmud stepped down, it was a smooth transaction and now another smooth transition. “PBB is a matured party whose aim is to develop Sarawak. So PBB will continue the development as it is stable and with a new leadership, it will bring Sarawak to new heights,” he said. Uggah, who is also Minister of Modernisation of Agriculture and Rural Development, however, refused to make any comment when asked if there would be any change in policy direction. “That one you have to ask the minister,” he said.